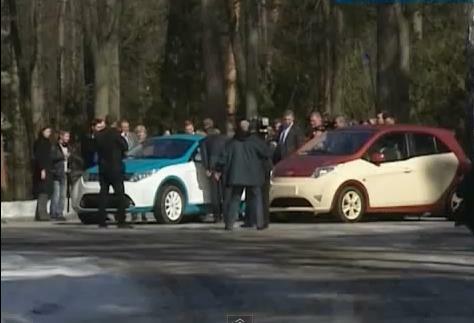 Russian president Vladimir Putin got behind the wheel of Russia's first-ever hybrid car on the 1st April. Unlike regular hybrid systems, the Yo-Mobile (yes, it's really called Yo-Mobile) can utilise both petrol and natural gas. In doing so, it can return 67.2mpg (3.5l/100km) while topping out at 81mph (130km/h). Check out the videos after the jump.